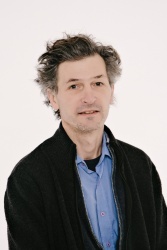 Nikolaus Fleischmann is a senior expert for water-policy, -management and –research. He works at the interface of research and consultancy and concentrates on transfer of knowledge and implementation of emerging technologies. In the frame of the EU Water Initiative (EUWI) he participates in the transfer of RBM planning and EU WFD principles to developing countries. Within the EUWI he also developed and managed the information system and web site (2003-2007, now hosted by the IRC). He centres his attention on the implementation of water policies, often with a link to technical aspects of water quality description, monitoring and reporting in water management. He was involved in the development of WFD compliant river basin management plans and monitoring networks in EU MS and beyond, always promoting a scientifically sound, transparent and participatory approach in the implementation of integrated water management. This specialisation on a wide range of water quality issues results from 10 years in research in the fields of water pollution control, policy implementation, municipal water management, treatment plant design, control and optimisation, followed by activities as a water research and policy consultant in the EU, accession countries and in development cooperation.